Looking for the Best Brunch Restaurant in Plantation? If you find yourself looking for the best brunch restaurant in Plantation to enjoy a lovely brunch on a Sunday morning, we suggest you stop by Plantation Diner. We’re sure you will be impressed by our mouth-watering menu options, unbelievable customer service, and familial environment. At Plantation Diner, we adore making our guests feel like family, and that’s exactly what you can expect when you visit us. That, coupled with the fact that our amazing chefs deliver five-star deserving meals, will surely have you coming back again and again. Any day is a good day to go outside and marvel at the beautiful day, while spending some quality time with friends and family. If today happens to be that day when you’re deciding to perform some self-care and use the day doing the things you love, having some great comfort is always an awesome way to initiate it. One of the things that will make your experience at Plantation Diner, one that you will want to keep on having, is our premium customer service. Our staff doesn’t have to go out of their way to make you feel part of the bunch, they naturally are very welcoming and lovely people. When you come to Plantation Diner, we want you to feel like this isn’t only a place where you can have a delicious breakfast, brunch, lunch, but we also want you to feel as if you can distress and take a break from the concerns of daily life. Isn’t it nice to know that on your way to work, every morning before you start your day, you can stop by a spot filled with amazing people and grab a bite of some of your favorite dishes? Here, we believe that variety is the spice of life! We like for our guests to feel like they can indulge on whatever dish they desire. This is precisely why we’ve come up with a very inclusive menu, that includes all of your American favorites, and promises to satisfy your cravings. 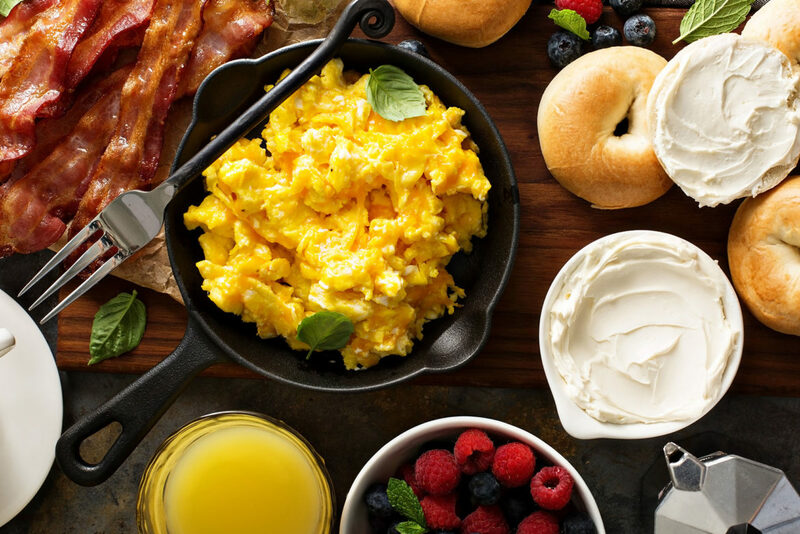 Some of our appetizing options include: Biscuit Sandwich $5.99, which includes eggs, bacon, sausage, ham or cheese; Oversized Croissant with Eggs $5.49, with eggs, bacon, ham or sausage and cheese; Bagel with Cream Cheese $2.50, English Muffin $2.25, Banana Pancakes, Pancakes (with blueberries or with chocolate chips), Raisin Bread French Toast, and so much more. You wouldn’t believe the tons of menu options we have in store, including those for vegetarians and vegans alike. When searching for the best brunch restaurant in Plantation, call Plantation Diner at (954) 791–2985 and get more information about our succulent menu dishes and our services. You can also call on us for your catering needs, and we’ll be pleased to deliver anything you want! We also have specials available for you!